Fresh from an innovative tie-up with e-commerce giant Farfetch, aimed at increasing the group’s digital stead in the Middle East, and with their eyes firming set on a 900-day transformation target to become an omni-channel hybrid, to say that Mr Chalhoub has his work cut out for him at the helm of the burgeoning family business is an understatement. 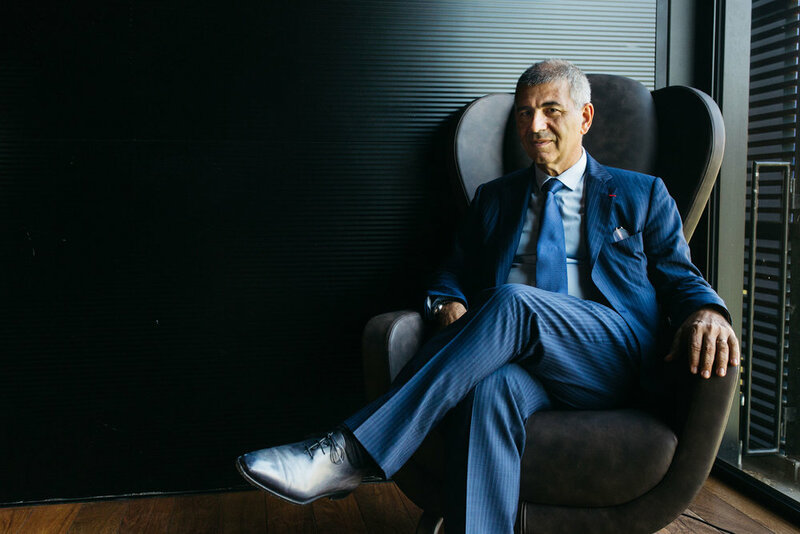 In a nutshell, the Chalhoub Group today is one of largest luxury conglomerates on the planet, boasting hundreds of brands in its suite, 10 e-commerce websites and counting, and over 650 physical stores across the globe, in 14 different countries. 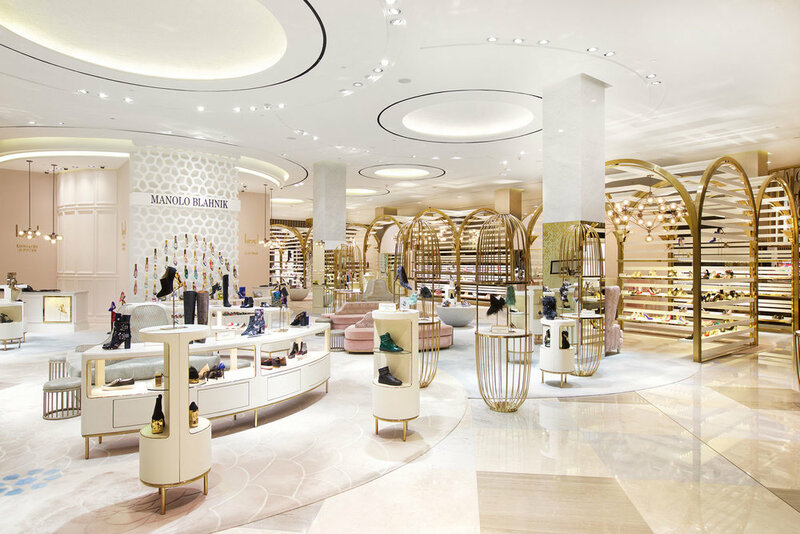 In the UAE — their supremacy in the world of fashion, shoes and beauty is essentially unmatched — such is their size, reach and resonance with customers in the region. Yet, converse with Patrick Chalhoub directly about his ambitious aspirations for the company’s about-face, and he’ll calmly respond that it’s less of a desperate race to revolution, and more of a steady “sprint” — ensuring all the boxes are ticked, and every change is monitored at each step. 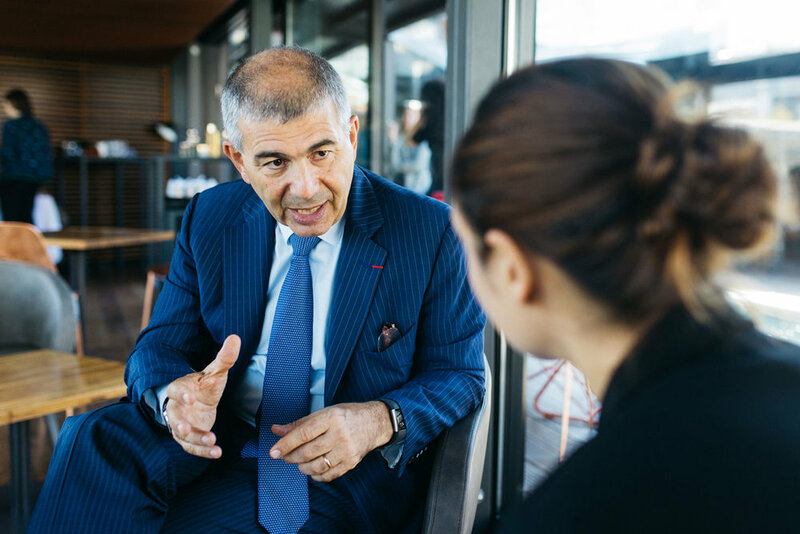 Here he talks to Tidlrs about his dynamic plans for the future and how he and his brother will be guiding the Chalhoub Group into its next, exciting chapter. First off, the Chalhoub Group is currently a few months into the 900-day timeline – which you set on January 1, 2018 to achieve company-wide transformation. What prompted this? There were a few reasons. One — we were late to engage in our digital transformation initiative. Two — we started in July 2015 and we started by creating a ‘digital competence centre’, with the aim was to help us navigate the digital world. Three — two years after we created it, so in January 2017, we felt things were moving too slowly and not generating the level of engagement we wanted — and which we knew we could have — in terms of development and connecting with the world. So we made an assessment of the team with the help of a senior, external consultant, and from January to June  we reassessed where we were, and formulated what had worked through research — and we arrived at the conclusion that the first point of our reinvigorated strategy needed to be not actually digital transformation per se — but rather a transformation of our group globally — our mind-set, organisation, processes, behaviours and so on — to adapt and encompass the digital spark in everything we do, across the board. And that was the catalyst for the conception of the 900-day transformation strategy. The first action then, was to cancel and dissolve our digital competence centre, so we did that in September 2017, and from September to December we put another structure in place across our organisation called SHIFT — and the aim of this is not to be the digital expert but help to shift our organisation and to help and support the whole group in transforming. Now, what are we planning to achieve — overall — are, fundamentally, a few elements. One, we absolutely want to put the customer at the centre of everything we do, and bring the brand, et cetera, around that. This is the first element to success. Naturally, when a client is at the centre, all the touch-points have to be relevant to the customer’s thinking and behaviour — and today’s customer is digital, not just physical — so then digital, by default, is also something we need to excel at to help us connect better and facilitate more. Two, the discussion is around our people, our team members. We need to move with agility and speed to adapt, and award people for exchanging extremely fast. Because we are not just going from point A to point B — we are going from point A, which is very stagnant, to a point which will continue changing. When we reach a point B, there will be a point C and there will be a point D. It will be constantly changing, and there will be different points to address at every stage. So we have to become more of an organisation which is agile and quick to respond, and one which is also much more empowering of our team and our people, which will in turn attract more young, educated people, because they want to be empowered and they will want to have an impact — and this is what we will be offering [at Chalhoub Group]. It took us some time to understand, but on the 1st of January, we were ready to jump and we set ourselves a period in which to achieve this transformation — 900 days — to all together become more client centric, agile, flexible, and speedy in terms of our business units and to be much more empowering of our teams. That’s a very ambitious timeline within which to transform your entire and very extensive network. What is the progress of this transformation now? Where are you at? 900 days could be viewed as very short or very long — but what we are doing is splitting this timeline up into 90-day intervals — screening the progress of each stage in 10 slots, every 90 days. So we know what we want to reach at the end of this 900-day road, but we are not sure what we will do exactly in sprint two or sprint three of sprint four. Some sprints and some activities and brand will go faster than others, but we will define that at the beginning and and of each sprint. In the first 90 days, we have already made sure that our shift is in place, that we are correctly communicating and working with all our business units — particularly those who are dealing directly with the customer, so the more operational and commercial teams, to ensure that they incorporate at their end all the necessary infrastructure in order to be able to shift. The result of that was a few quick wins — the opening of a few more e-commerce sites, and a lot of new people reinvigorating the business. In this first shift we have also started working on the mind-set and the culture — internally — of the group, in order to, again, move without changing our core values but to a position where we can reinterpret those values, and support a foundation where we favour the entrepreneurial spirit much more — and that is part of our initial value system, and part of the experience — but the idea is now to favour initiative and innovation a lot more, rather than perhaps making sure we are perfect from the start. So in our culture, we want to move from being entrepreneurial just at the top, to ensuring that we empower everyone, across the company — so that ideas are not just approved by someone like myself, who has to validate it and improve it, but so that all staff will be entitled to have a good idea and just do it with a small pilot — and if they fail, they’ll learn from it and from each other and share in that knowledge to become better? I want our company staff to able to not just bring the idea to the table but I want him to be able to have that power to execute it, to improve it. We also have signed with a few digital platforms, including Farfetch, so we’ve made plenty of progress to date and a lot of achievements I would say, but we are not at the sprint of acceleration just yet, we are still at the shift stage as we still need to make some fundamental work on the culture, on the enabling services. But I absolutely want our sprint two to be one of speeding up more, and then sprint three or four and beyond to be the sprints of real acceleration. 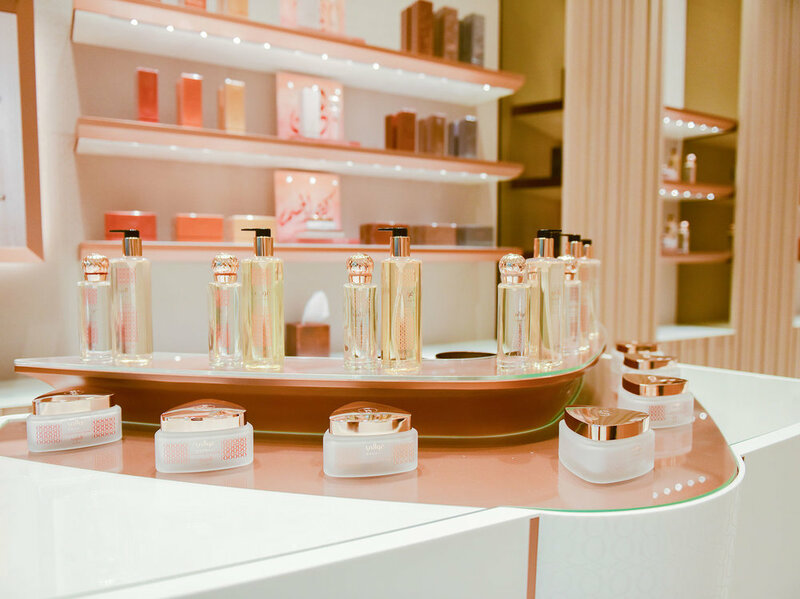 In this race to conquer the new age Middle Eastern market, you've joined forces with Farfetch as you mentioned – which is obviously a huge tie-up. 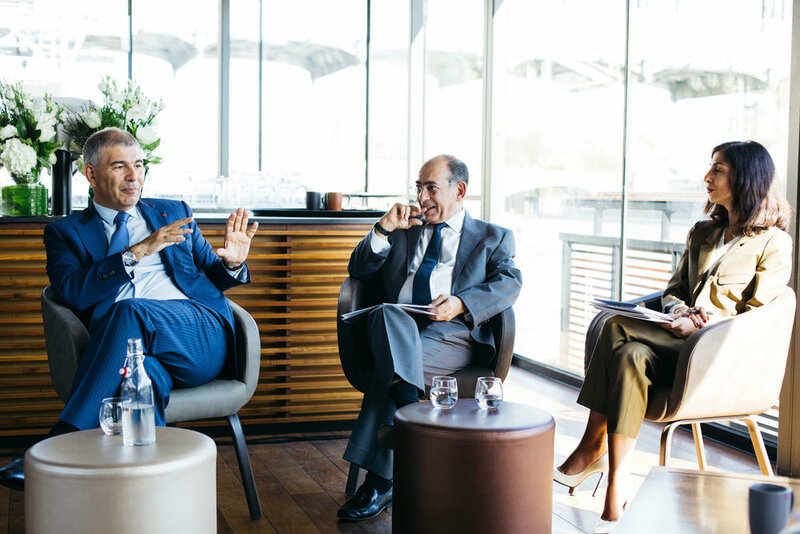 How did this partnership come about, what made Farfetch the right partner for the Chalhoub Group and how are they going to aid you in this transformation? First, we started discussions with Farfetch — but not only with Farfetch — about a year ago. We only signed with them at the end of January, but already we’ve seen progression. We definitely had a total fit between our two cultures from the outset — particularly in the sense of empowering our client, and empowering our people to be relevant and offer the best in what is convenient for our customer, while still being aspirational at the same time. There was also a fit between people, our teams and a fit of options available. So, a lot of the elements which we were looking for with a pure player, were embedded into Farfetch when I compare it to some of the other platforms which exist —including not becoming a discount site, but more an aspirational site. Globally what we are saying is very simple. Farfetch is trying to conquer customers around the world within the Middle East, which was not to their priority market, although they had customers in the Middle East. With our tie up, the Middle East will become their priority market and they will focus more attention on the Middle East, using the Farfetch platform and develop that market. From our side, we are looking to be relevant for our customer —including the old traditional touch-points and the new — and as a pure-player platform, Farfetch was totally fulfilling these aspects we were looking for. What are we trying to put together? Definitely the website for one. We launched an Arabic website a couple of weeks ago. Also the launching of Farfetch Middle East will be first priority. We’ve already ‘Arabized’ the website — so not only using the Arabic language, which is now up and running, but also adapting the contents of the offering, talking to the customers, so we can connect them from the Middle East to the Middle Eastern world right now. There’s a whole team permanently working on it, on the customer service, on the connection to our client which is the most essential, and to promote the site to the customers, in a very relevant way, in order to adapt the global Farfetch image to the Arabized part of the Middle East. For me, it’s a marriage made in heaven. Fantastic. I will see more progression as we develop our partnership, but already the first few results — putting more focus on these points — are fantastic. This without yet properly launching the site. You’ve previously said that less than half of one percent of luxury business in the Middle East is being conducted through the digital platform – how do you see this growing over time? It’s a small percentage at the moment, but it's growing year-on-year, and the estimate is that within about five years it will be at 24 million dollars, the whole market — and at that point it will make up about four or five percent of the global market. In luxury, particularly, we feel that in time it could reach six, eight, 10%. For our group and for our shift and agility effort, we say we do not care if tomorrow luxury digital is 50% of the market, which is not anywhere in the world or 10% of the market. We want to be relevant here and there — in both the digital world and in physical stores. The difficulty for us — and part of our shift goal — is that not only do we have to be relevant in the digital world, by offering our customers e-commerce sites and capturing the three, five, 10%, 30% of the market, but to do this without letting our brick-and-mortar physical stores die. Speaking of digital and the future – what opportunity do you see for the Chalhoub group and luxury as a whole with artificial intelligence? Is this something that you're also thinking about implementing more? The answer is yes. We are trying to do this, but for me, there are certain steps to be taken [first]. There are analysers of algorithms — and we use this and will do more in the future, and then there is another form of artificial intelligence, which is another step. When you go to our merchandising elements, our inventory and the management of it, of course — a lot of our decisions are based on research which has been based on analytics of consumer behaviour, histories and on trends, and today machines make that process much faster and we will move more to studying those histories on a much broader platform and also integrating some of the trends into helping us find the right quantity to buy, the right styles to buy, the right styles to merchandise, the areas which are going to merchandise them in, all of that. But to let the machine take the decision itself, in order to make the buying by itself relevant, I'm not yet there, and I’d probably worry about giving up that decision making process, but perhaps it will happen in time…. I think it is building up and building confidence. I don’t think we’ll see robots [within the Chalhoub Group] anytime soon, but one will see them at a certain technology firm, at Apple or Microsoft, at some point. I think that will come into motion, but we'll not be the ones to start it. One, because of the investment required, and the volume required, and two because we are not a technology firm — but we are not afraid to encompass it into our operations [down the track] if it is relevant and makes sense. Staying on that generational track – how does the Chalhoub Group choose its social media influencers? How do you know who's going to fit what brand? One answer is going back to a tradition in our part of the world. Always looking at friends, and the leaders of opinion. This tradition has become more enabled and global by the digital world, where friends are becoming more linked by social networks. In order to choose those friends and influencers, we assess feedback from all our business units and make sure to engage in constant, regular dialogue with them to better recognise who the influencers are that are emerging and growing in popularity, and what they stand for. Using those influencers for what they really stand for is key, rather than just paying them to portray things which they don't stand for. So in that sense, we are moving more and more moving into micro-influencers, and using them only for things which really pertain to their own beliefs — it's more genuine that way. Do you have any influencer collaborations in the works? We have done that, yes — and we definitely see more of these in the future. We have already collaborated with a few of them already, not only to promote, but to also help them put together their own line. Financially we haven't been involved but we have given training on commercialisation, and with some, we might even invest — if it’s the right moment, the right opportunity. What is your role as a CEO in this hybrid Chalhoub Group to come? For me, I'm more here to give a certain direction, steer the ship, and to make sure that we keep the culture which has been there and also improve it in a modern way. [In the future] I want to unload the ship so I can focus more on the direction overall and give certain guidance about the strategy, and more so in a coaching and mentoring role, rather than doing it and deciding everything by myself. Then I also have to make sure I’m looking at where to put which investment, and making sure that we feed the infrastructure and the enablers which are needed to help support this movement and transformation. We also have fantastic successes to celebrate, and I will be happy to make all the celebration decisions. In terms of the opportunities that lie ahead – what are the key targets for you? I have a set target for the 900 days, and the progress which we want to achieve as part of it. Overall, I would like that all our activity becomes very much hybrid and relevant to the customer. Then we have also have some percentage targets [in terms of category and market share], and some turnover targets — but for me, that is less relevant at the group level. Are there any specific categories that you're looking to particularly increase your influence in – say, fine dining, or beauty? Is there anywhere else that you're looking to expand? As a group, we have put certain seeds into hospitality and the family, but I don't know how pertinent it will continue to be in the future. 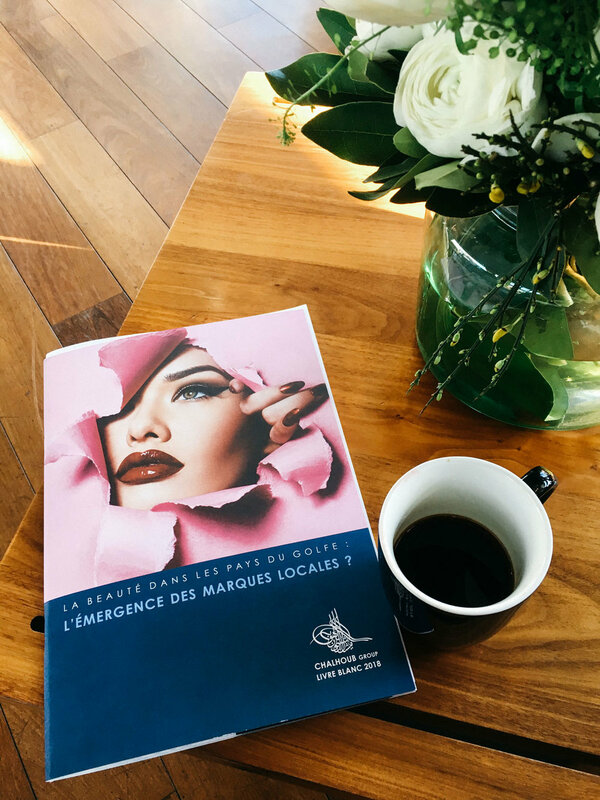 For the family, we are assessing our position and movement, but we think that within the beauty world itself, and within the fashion world itself, there is a big movement which is happening. We spoke about perfume, the makeup and the skincare [at the Whitepaper presentation media event today]. In terms of the skincare development, we think that as a group, we have a real role to play in moving into the direction where skincare will take 10% of the market, to grow it and make it a much bigger part. In regards to fashion, it's not about the accessories, the bags and shoes, etc, and what is visible — but rather we think the movement will go much more to the ready-to-wear itself. There is a transformation which will occur in each one of the categories, where we will have to lead the way, but I think overall there will be more categories in the future, and more territories, and so on. What we will always analyse is: What added value do we bring to our customers? How can we help? We will always analyse every category for relevance, and for the added value they bring. My last question is, in a nutshell what are the key things that have changed in terms of the luxury landscape? The whole world has changed. The digital acceleration has been incredible. The client empowerment and the consequences of that. The growth, and emergence — at least in our part of the world — of ‘millennials’ as we call them, and the mind-set of people being more assertive, and the international companies looking in spite of all its complexity, much more to our part of the world. Overall, the complexity of the environment has increased and the speed at which things are developing, and where and how we have to adapt has changed a lot. But we will be ready, and right now, we have a lot to celebrate.